This article was originally written for and cross-posted on Klarity right here! Read my articles on Klarity’s blog. Hello folks! Say hello to the Klarity Editor-In-Chief.. AKA me! 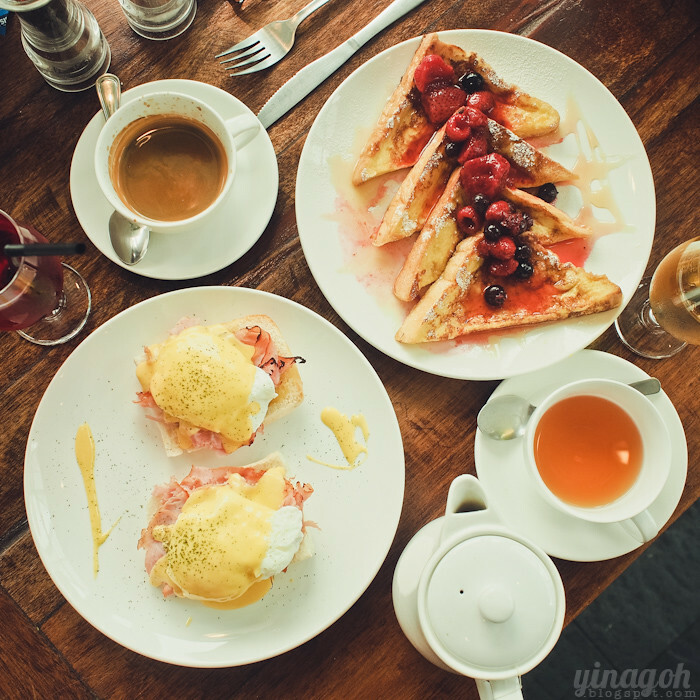 The following round up of five cafes are some of my personal favourites, and in my opinion are some of the best cafes around in Singapore! 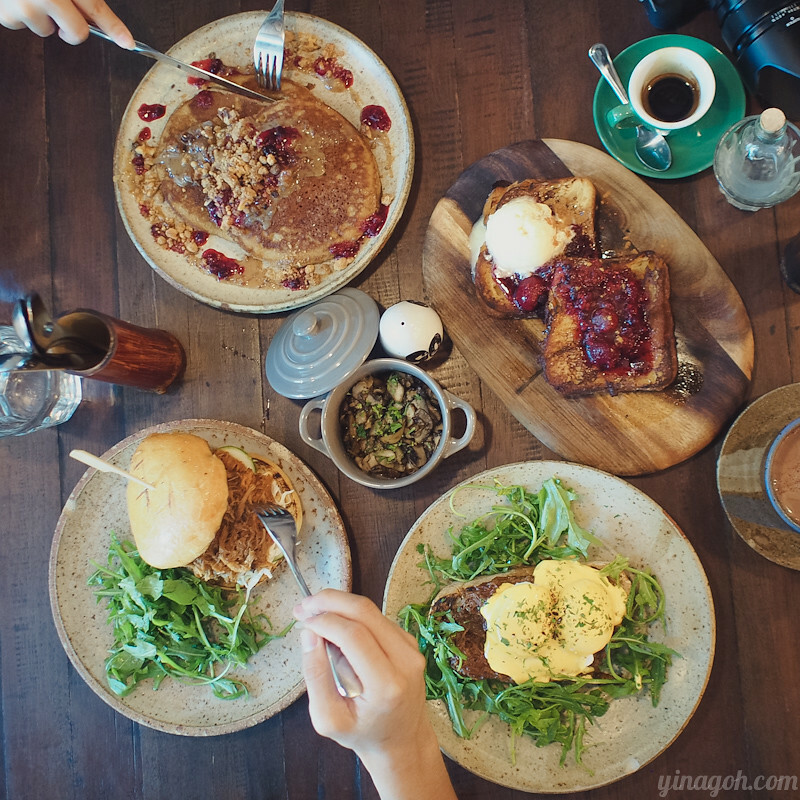 If you’re looking for a new brunch hangout spot, maybe you’d like to give the following cafes a try! I’ve also added a little “In The Mood For…” indicator so that you can decide which cafe you may want to try, based on your mood and preference! 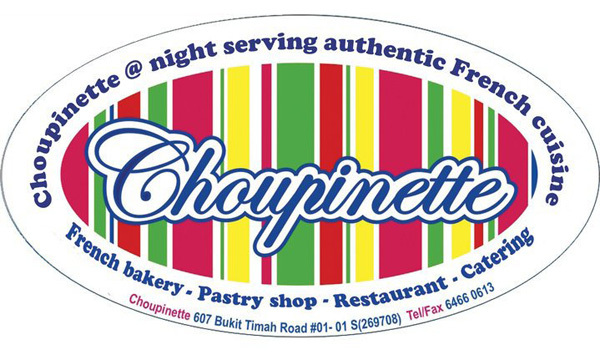 If anyone asks me where to go for good Eggs Benedict in Singapore, Choupinette is my number one recommendation! 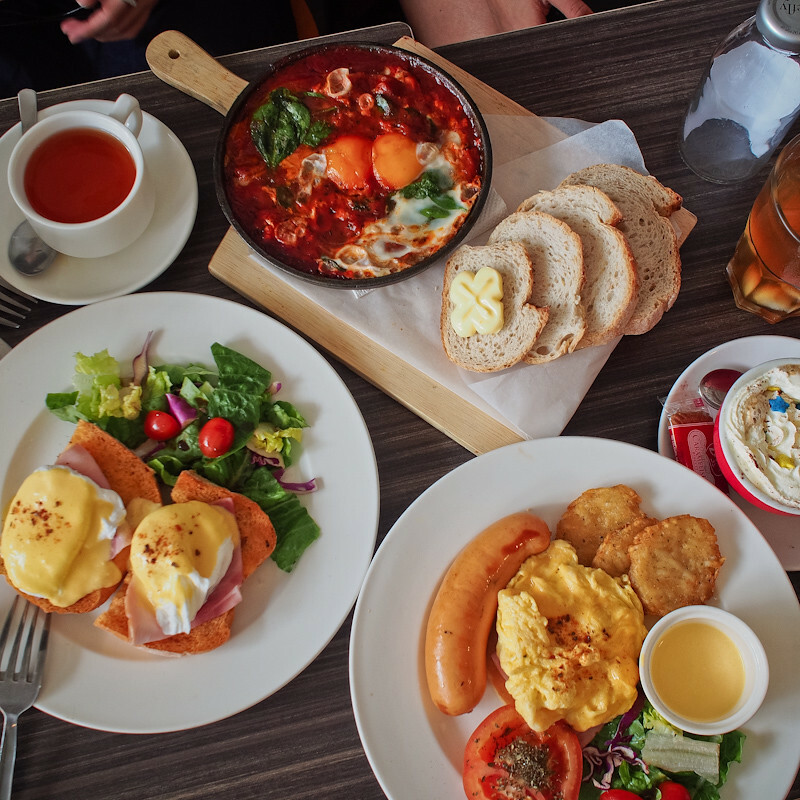 This tiny French bakery/restaurant has a small menu which doesn’t leave you spoiled for choice, but they also serve up one of the best Eggs Benedict in Singapore… EVER. 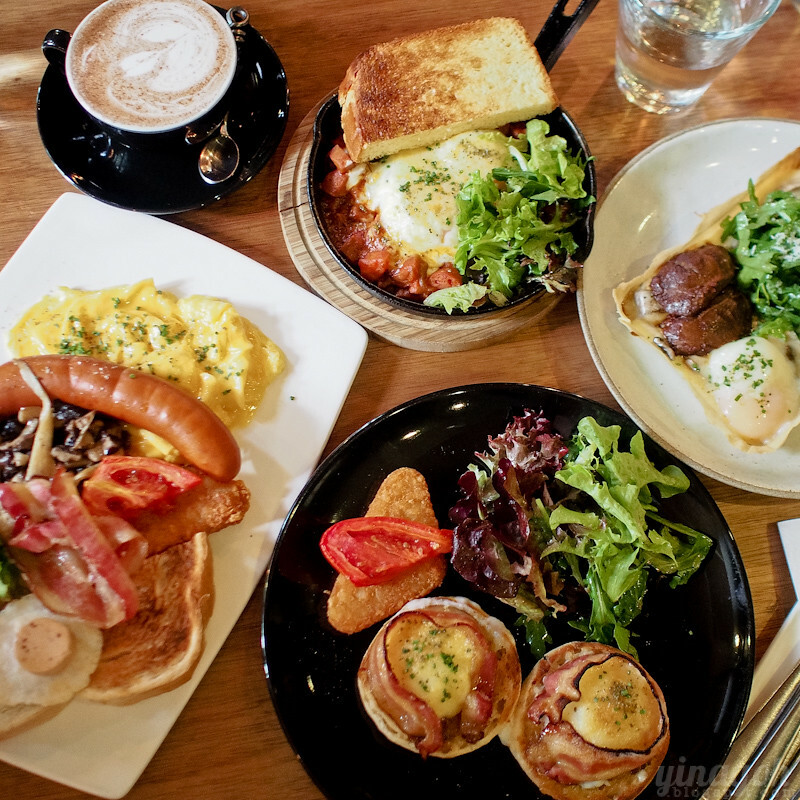 Tip: Go for one of their brunch sets which costs only about SGD19-SGD22 for a main with a fruit juice and any hot drink! Ala carte is only about SGD3 cheaper, which makes the set more worthwhile. 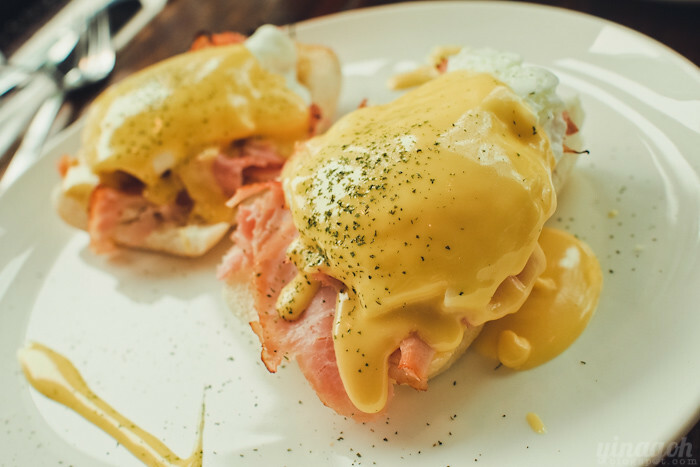 Their Eggs Benedict is deliciously rich with perfectly poached eggs presented atop two half-baguettes and a generous portion of finely shaved ham, topped off with a flavourful Hollandaise sauce! This is THE place to have Eggs Benedict if you’re having cravings. Symmetry has got to be one of my favourite brunch spots. Although pricey, Symmetry does an amazing variety of dishes, and all of them are superb. 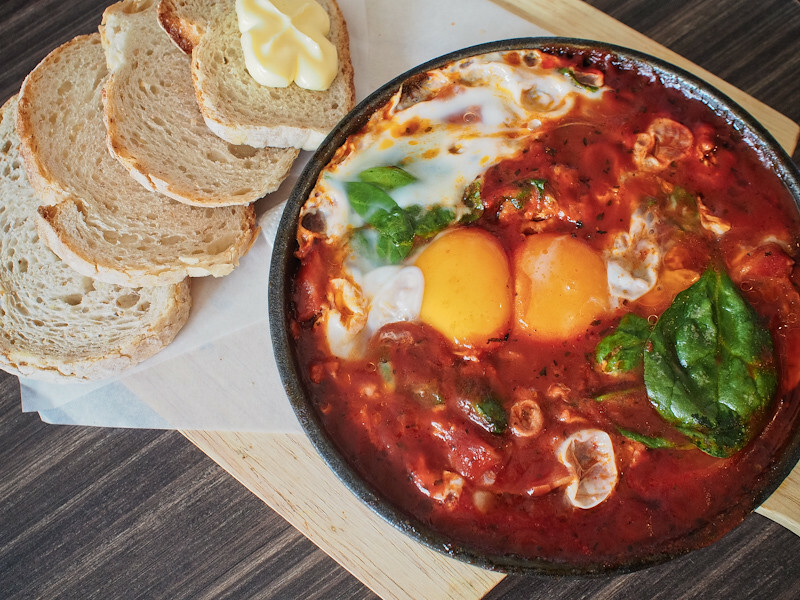 For savoury, I recommend the Symmetry Eggs Sur Le Plat, which is a concoction of piquillo puree, paprika, pork sausage, garlic confit, creamed spinach, cheese, basil (the ingredients listed in the menu) all baked together with two yummy, runny eggs! The explosion of flavours in this satisfying dish will leave you wanting more! 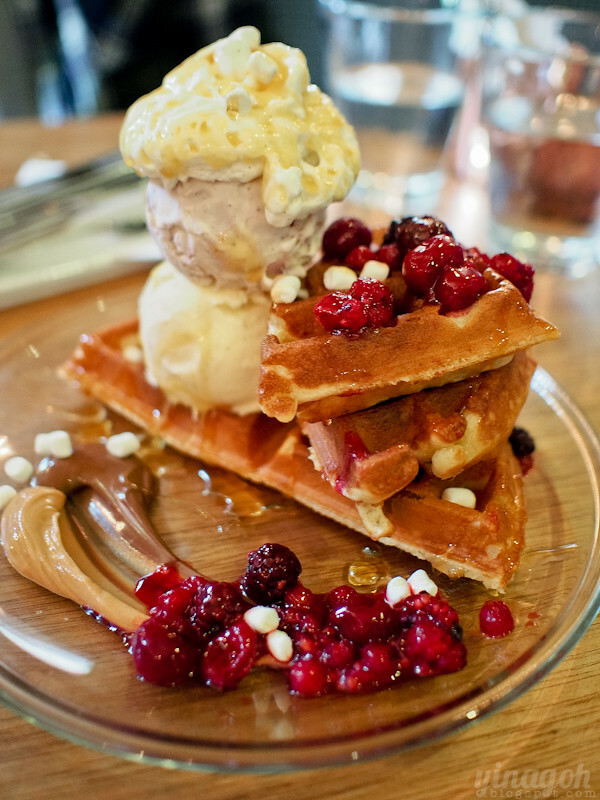 For a sweet end, you have to try their crisp-on-the-outside, fluffy-on-the-inside waffle that comes with two slabs of peanut butter and Nutella, and adorned with a scoop of ice cream. Tip: Add another SGD4 for an extra scoop of ice cream, cos you’ll need it! The one scoop of ice cream was barely enough to go with half of the waffle! PS. Brunch is only available on the weekends! 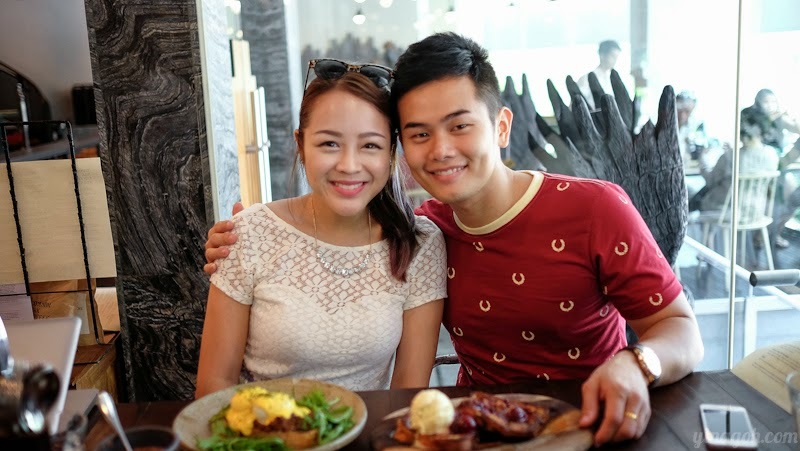 For a fuss-free and affordable cafe experience, Habitat Coffee is the way to go! This place is self-service and you have to order and pay at the counter, but that also keeps their prices way cheaper than other competitors out there. Food-wise, I like how Habitat Coffee has very simple and unpretentious food. The portions are just right and it’s hard to find fault with their tasty and comforting fare, like the Big Ben (big breakfast) and Eggs Tomato Relish. I’m a big fan of baked eggs and this is similar to Symmetry’s Eggs Sur Le Plat, but more affordable! If you like the tangy zest of tomato and you love oozy runny soft eggs, I’m sure you’ll like the Eggs Tomato Relish. Tip: Habitat Coffee gets really crowded on the weekends, so I suggest you go early and also keep your dining group to smaller sizes of perhaps 3pax-4pax maximum! This is another one of those pricey but yummy cafes in town, and my favourite part about Common Man Coffee Roasters is the beautifully rustic interior and spacious feel. Most cafes in Singapore are pretty tiny so it’s a nice change at Common Man Coffee Roasters! This makes Common Man Coffee Roasters conducive for casual business meetings or even as a chillax spot for you to work the afternoon away, though again I’m sure this place gets really crowded on weekends so it might not be a good idea to bring your work out to CMCR during the weekends. For the caffeine junkies, Common Man Coffee Roasters roasts their own coffee blends and I hear that the coffee here is great! They have other cool stuff happening too, like coffee workshops and the likes. Let’s not forget that breakfast is served all-day at Common Man Coffee Roasters, so you can get your eggs and toast fix at any time of the day! 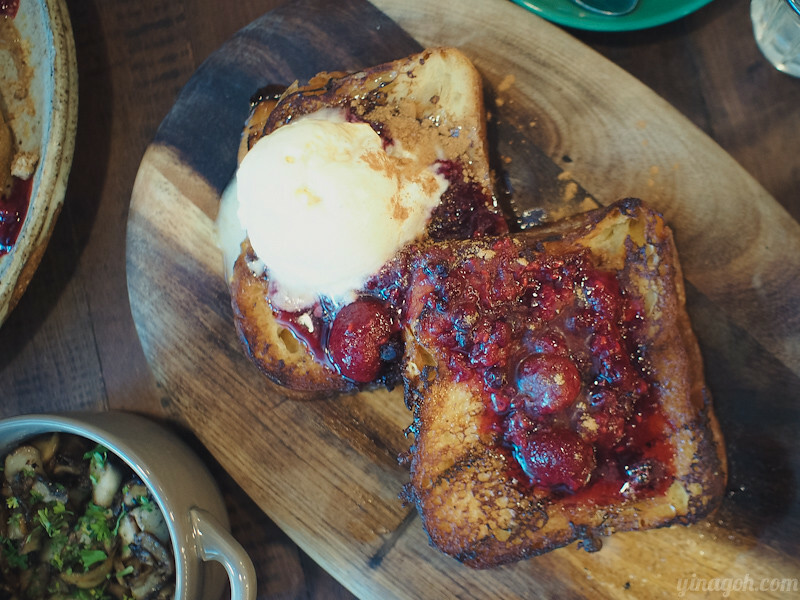 I’m quite partial to savoury sweet foods like French Toasts and Common Man Coffee Roasters has got one that’s fluffy and melt-in-your-mouth, accompanied by plain ole vanilla ice cream and berries compote. Scrumptious! Situated along the same stretch as popular dessert cafe Wimbly Lu, the best part about Australian-inspired bistro/cafe Rokeby Bistro is how laid-back and relaxed the vibes are: This place is perfect for a few hours of long chit-chat and catching up over a huge huge variety of dishes available from their brunch/dinner menus! 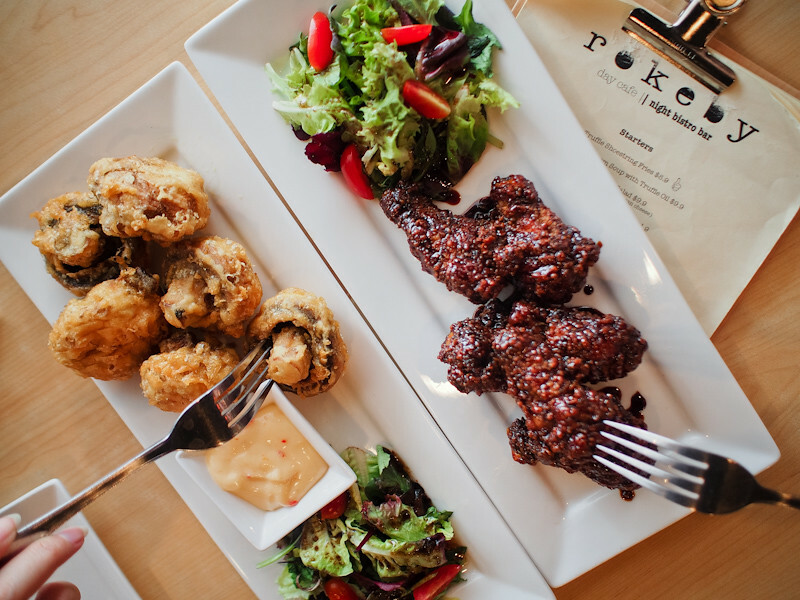 You’ll find something for everyone at Rokeby Bistro. Prices are relatively affordable too, and I like it that if you’re in the mood for something more than eggs and toast, they’ve got really great offerings too like steaks, ox cheek stews, fish and chips and the likes. Chilli mussels may seem like a strange menu option for a bistro, but trust me on this, the chilli mussels at Rokeby Bistro are super addictive and makes a refreshing change from the usual cafe fare. 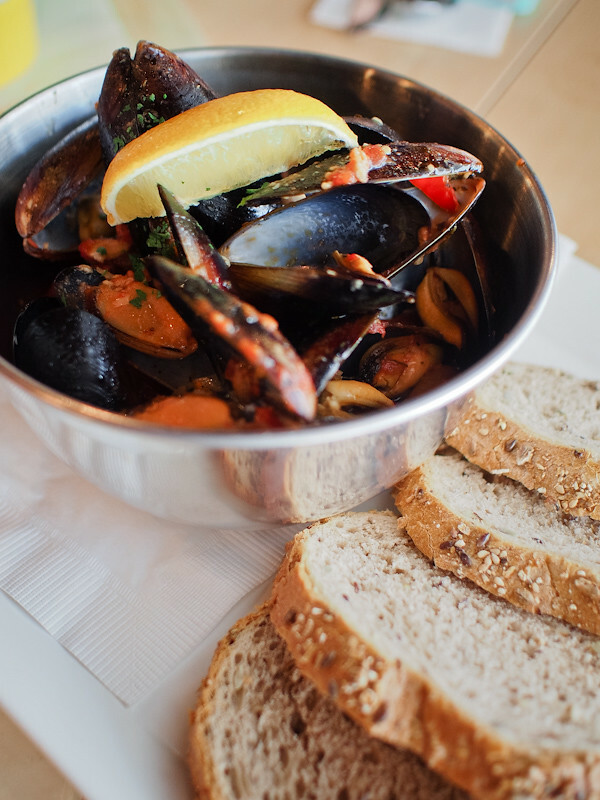 The mussels are sweet and fresh, and the spicy sweet broth is perfect for moping up with a piece of toast! In The Mood For… Lots of variety and something more filling than regular cafe fare, great even for family meals because of the huge menu selection. That brings an end to my very first article on Klarity, and I hope you’ll be staying tuned for more beauty and wellness articles really soon! I’m so excited to be onboard the Klarity team and I know that you can expect lots and lots more great content from the Klarity editorial team. You’d be really excited to know that the Klarity app is well on it’s way soon! Klarity is a beauty and wellness app that allows you to luxuriate in some much-needed ‘me-time’ anytime, anywhere. Discover available appointments at top spas and salons by location, enjoy exclusive promotions, and book seamlessly via Klarity app in real-time.